Need to Unclog a Sink Drain? | Weilhammer Plumbing Co. Inc.
Are you starting to notice that the water isn’t draining as quickly as it used to in your bathroom or kitchen sink? Or has it just stopped-up altogether? If so, it’s time for you to learn the best practices for unclogging a stubborn sink drain, safely and efficiently. Continue reading to learn some eco-friendly and effective solutions for clogged sink drains. Although the plunger may appear to be just a tool for the toilet, it actually has a secondary purpose. It can be used to release the tension between the settled solids in your sink’s drain pipe, which when successful, will allow you to complete the unclogging process. If your sink is already filled with water, remove a portion of it so that the sink is nearly half-way full. If you have a double-basin sink, plug the other drain with a wet rag or dishtowel. Next, with plunger in hand, start vigorously pumping the drain up and down for one minute. One you have loosened up some of the solid mass in your sink’s drain pipe, you are ready to “snake” your drain. This refers to using an auger or drain pipe cleaning tool, often called a snake, to pull out solid waste and accumulated matter that’s causing the clog. You can purchase these at any home improvement or hardware store for a few dollars. Simply insert the thorny plastic line into the drain as far down as you can push, and then give it a little twist and pull up all the way. This movement should pull out a long, slimy mass of food, hair, soap, grease, dental floss, and any other solid debris that made its way down the drain. Be sure to never flush this waste! Always throw it away in the garbage to avoid a clogged toilet! You may need to repeat this step a few times. Now that all the solids are eliminated, it is time to cleanse your drain. If you plan on buying an over-the-counter cleaner, it is strongly recommended to look for an eco-friendly product. But it is cheaper and equally-effective to use an eco-friendly homemade solution of baking soda and white vinegar. Bring 6 cups of water to a boil. While the water is boiling, pour 1 cup of baking soda down the drain followed by 1 cup of distilled white vinegar. When the drain stops fixing, pour in the boiling water. Then run hot water down the drain for 3 to 5 minutes. This should work to effectively remove the rest of the clog. If your kitchen or bathroom sink clogs regularly, or simply won’t budget no matter which do-it-yourself method you try, a professional plumber is your best bet. They retain the proper tools, training, and knowledge to easily diagnose your drain problems and implement effective solutions. 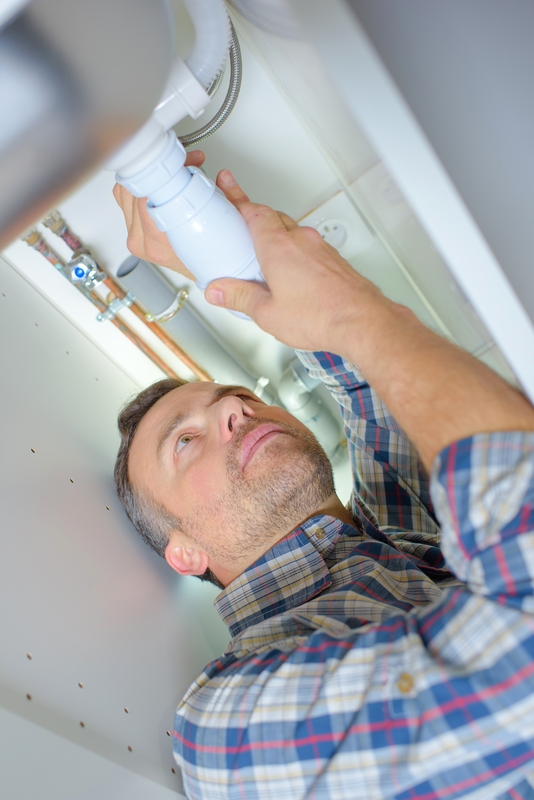 They can also give professional plumbing advice and recommendations that will help prevent future plumbing problems. Call Weilhammer Plumbing Co. Inc. at 317-784-1870 for prompt and professional plumbing service and repair in Indianapolis and its surrounding locations. Owner and licensed master plumber, Mark Weilhammer, retains a sophisticated team of licensed and experienced plumbers that provide a wide range of plumbing services for commercial and residential properties. 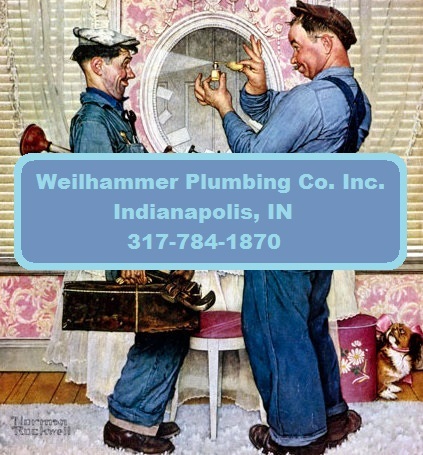 For more than 100 years, we have been a leading family-owned and operated plumbing company in Indianapolis, Indiana. Call us at 317-784-1870 for a free plumbing repair estimate or advice, today. This entry was posted in Clogged Drains and tagged bathroom plumbing repair, clogged drain repair, commercial plumbing repair, drain cleaning, drain plumbing services, Indianapolis plumbing repair, kitchen plumbing repair, master plumber Indianapolis, plumbing Indianapolis, snake a drain. Bookmark the permalink.